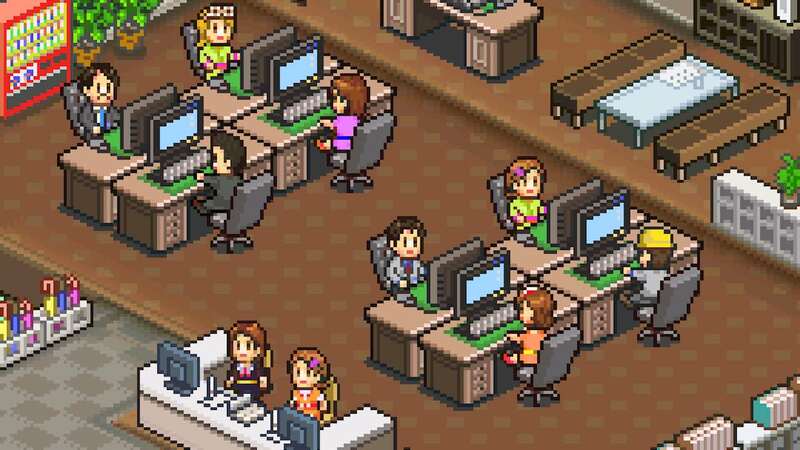 Kairosoft has announced that Game Dev Story, Dungeon Village and Hot Springs Story will release on Nintendo Switch next week. In Game Dev Story you are challenged to manage your own game company as you try to create a million-selling game. You will be able to develop your own game console and hire staff members with different skills as you look to reach the top of the video game industry. For Dungeon Village, you must build a heroic hamlet that warriors and merchants can call home. Those that stop by will defeat monsters that will, in turn, earn you money. That can be used to stock your shops or build training facilities like Combat Schools and Magic Labs to help boost their abilities as well as your village’s popularity. Whereas in Hot Springs Story you will need to build rooms, restaurants, arcades and baths to make your resort as entertaining as possible for your guests. There’s the chance to create the perfect Japanese garden from lanterns, pine trees, azaleas and more, in an effort to lure VIPs to your resort. Game Dev Story, Dungeon Village and Hot Springs Story will release on the Nintendo eShop for Nintendo Switch worldwide on October 10th, priced at £8.99 each.